Alumnus unites local dads with inclusive fatherhood group. 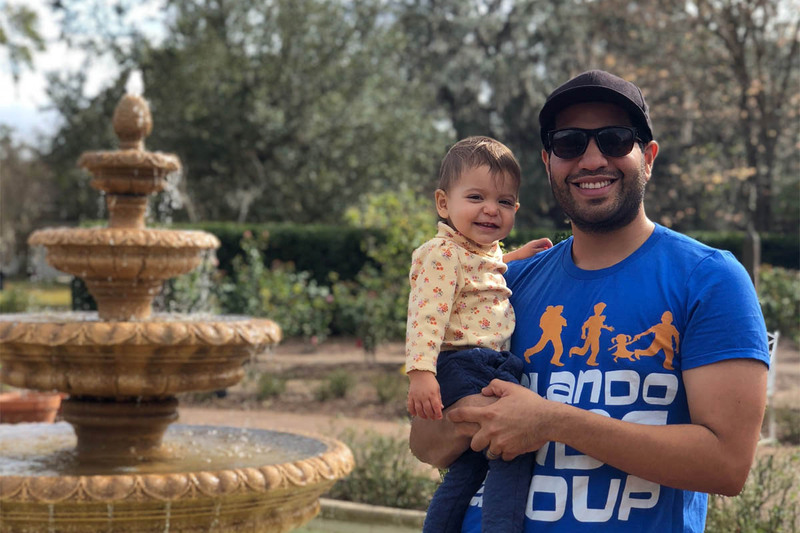 Alum Marlon Gutierrez started the Orlando chapter of City Dads Group to develop a community of fathers who support each other. Sunday won’t be the first Father’s Day Marlon Gutierrez ’11 celebrates, but this one will hold its own special milestone. This Father’s Day will be the first for his all-inclusive fatherhood community, Orlando Dads Group. There is no shortage of mothers groups in Orlando. With a click of a button and a few seconds, you can find playgroups, breastfeeding-support groups, emotional-support groups, first-time mother groups, Mommy and Me classes, tribes for mothers of twins and triplets, single-mothers groups, mothers of preschoolers, and mother meetups. Gutierrez and his wife Stefany make an effort to provide equal support for their daughter Isabella. With City Dads Group’s support, Gutierrez’s Orlando chapter has grown to more than 85 members in its first year. There are no dues or minimum participation requirements. The only prerequisite is being a dad. 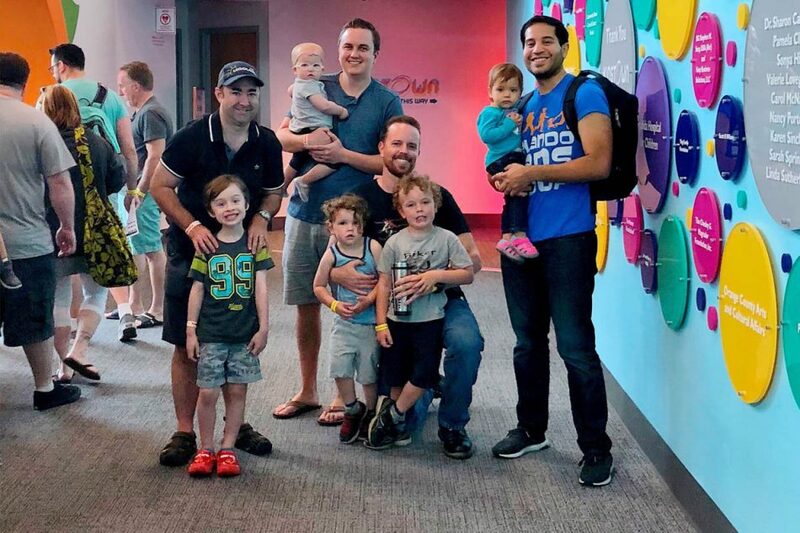 Orlando Dads Group’s variety of outings help fathers connect with one another while spending time with their children. The third outing of a month is for dads and their kids. 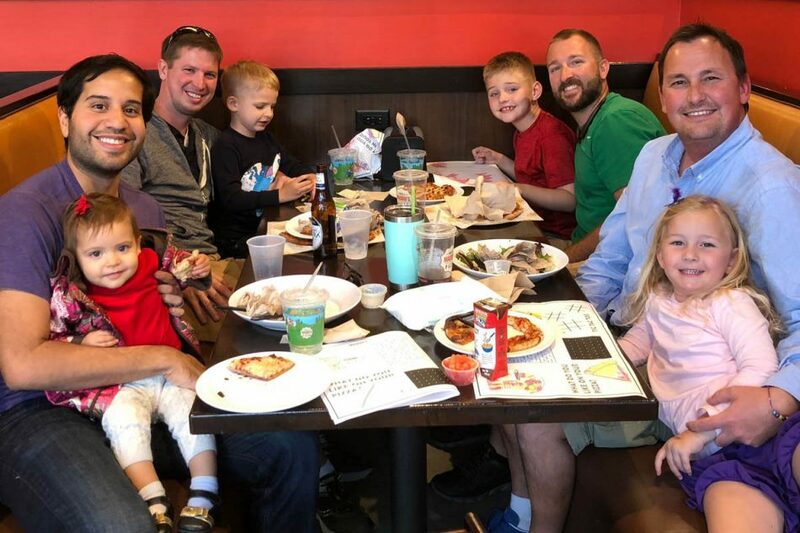 A recent pizza night in Waterford Lakes was a big hit, and an upcoming movie date for a free showing of ‘Sing’ is scheduled at CMX Cinemas in downtown Orlando on June 26 at 9:30 a.m. 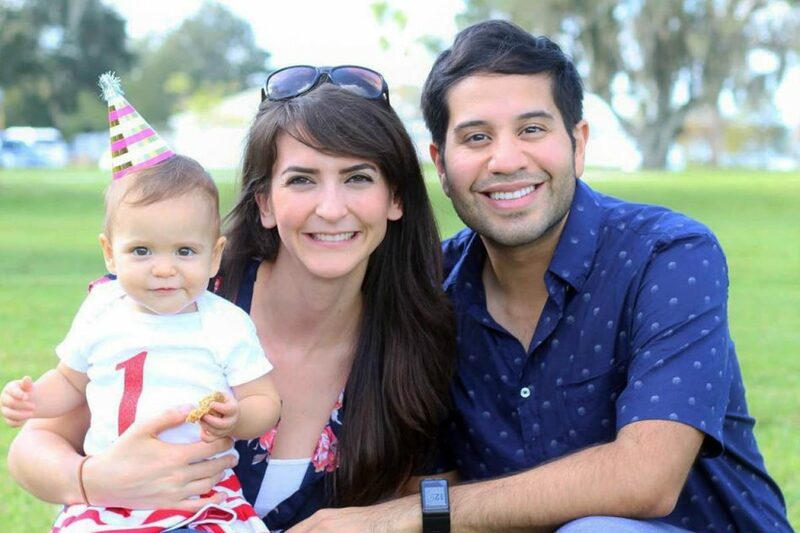 Through Orlando Dads Group, Gutierrez has has found a balance between his work and family life. He volunteers with the College of Business alumni chapter as a mentor for current students. He started a short-term corporate rental company with his wife called Orlando City Corporate Housing, which Stephany now manages.